You might be looking for a PMP cheat sheet that can help you with formulas based questions in the PMP certification exam. 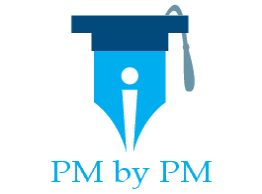 I have created a comprehensive PMP Formulas Cheat Sheet based on PMBOK Guide 6th edition. It is available as a free downloadable pdf in this post. There are about 20-30 mathematical based problems in the PMP test. These are quite simple. You just need to know the formulas and their application to crack these questions. The formulas sheet can be used as a quick reference guide for solving calculation based questions in the CAPM or PMP exam. The cheat can also be used for doing the regular project management work. You can download the pdf sheet by clicking on the following button. PMP Formulas should be actually called Project Management Formulas, since they are not specific to a particular test. In fact, CAPM aspirants would like to call then CAPM Formulas. However, the former title is most popular. This could be because of the immense popularity of the PMP Exam. But let us not delve into the reasons behind the name. You may call them by whatever name you like. A great man once wrote. Print it, fold it and carry it in your pocket for memorizing. Print it and pin it beside your study table for quick reference while doing mathematical questions. Save it as Desktop background on your PC or Laptop for ready reference. Save it on your mobile device for anytime viewing. It is short. It is comprehensive. It is pocket friendly. Don’t wait! Get it now. A few years ago, I started a LinkedIn Group For The Exam Prep. I created this group to help the aspirants in cracking the certification tests. I moderate this group and answer all certification related questions. Earlier, the formulas sheet was available for downloading to all the LinkedIn group members. But due to recent changes in the platform, there is no option to share it through LinkedIn. You can still join the Linkedin group for new exam related content like quizzes, infographics, and tips. There are no charges for joining LinkedIn or for becoming a group member. It will not cost you any money. Go ahead! Join the group. It is absolutely free. I have seen my fair share of cheat sheets and formula guides. I would be lying, if I said I have seen all of them that are out there. There are tens of such guides available on the web. However, I can certainly claim to have seen the more popular ones. Most of these guides are sketchy and do not cover many formulas. So, I prepared a new one to share it with the certification aspirants. Here it is at absolutely no cost to you! I am confident that the cheat sheet will help you in attaining the certification. However, if you feel that it can be improved further then don’t hesitate to put in a comment below. Otherwise, what is your opinion about PMP mathematics questions? Are they easy to solve? Do you think you can pass the exam without studying the mathematical portions of the PMBOK Guide? I am interested in PMP exam and have started reading materials in preparation. 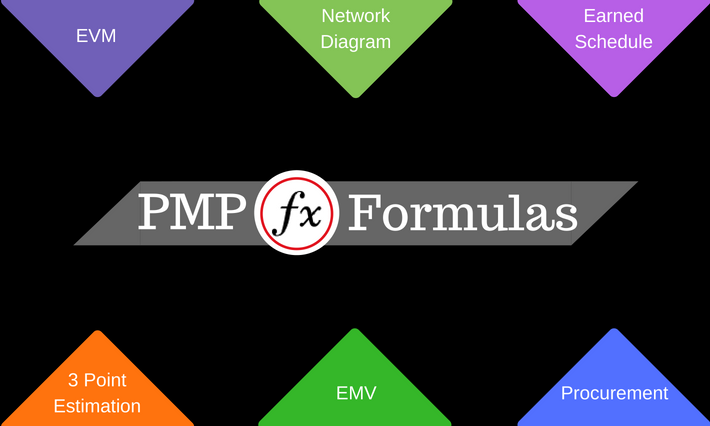 PMP Formulas Guide was very useful. Pageon, Thanks for your kind words. Download free!!!!! Hmmmm…actually name a fair price…..
Hi Jesperson, Thank you for you comment. There is nothing sinister about the fair price. I am using a services that shows “fair price” by default. I cannot change it. Just put $0 and download. Thanks Praveen for sharing this with us for FREE. It has helped me memorize Formulas and understand Abbreviations very Quickly. I am preparing for exam since 4 months from PMBOK 5TH EDITION. This is the best formula guide. Hi Elyas, Thanks for your kind words. Can you please share the download link? Would appreciate if you could share this formulae. I have changed the download mechanism. Now you can download using LinkedIn. Please try. Earlier we had a different mechanism for downloading the file but some people were facing problem that is why changed it to LinkedIn based mechanism. It is quiet simple. I believe 50 LinkedIn groups are too much; you can prioritize which groups you want to stay in. Hi. I have requested to join this group. Should I wait to see the download link after my request to join this group is accepted? As soon as you request to join the group, you will receive an automated mail from LinkedIn. This mail will have the download link. I didn’t find the link to formulas. I’ve joined the group. There would be download link in the first automated mail that you would have received from LinkedIna. I got following links in the welcome email. I didn’t see the link for formulas. Important Note: You should ensure that, while posting, you do not violate any copyright laws and do not use language that would seem offensive to other members. This is the second automated mail. The link would be in the first automated mail. I am already a member of that group. I couldn’t find the download link. Could you please guide? I have requested to join the group. Do you know how long it will take to get access to the group in order to get the formulas guide? Hi Camile, I usually approve the linkedin requests on weekdays morning IST. But you would have received an email containing link to the formula guide as soon as your sent a request to join the group. Please check. BR. Not sure. I check all folders everywhere in LinkedIn, gmail etc. I have not received. Is there anyway you can email it to me? By the way, I purchased the ITTO booklet and it is a game changer. Hi Camile, You would have received 2 mails with formula guide link. Linkedin sends 2 automated mails – first mail goes out when you opt to join the group and second one goes out when the group membership is approved. Both the mails have link to the formula guide. Please check your spam folder. Let me know if you got the guide. Thank you, I have registered in the facebook group, hopefully, once they accept my membership, i should be receiving the formula handbook. One of the reasons I have not taken PMP exam even after undergoing two classes of PMP Training, plus 2 trainings provided by our organization,was the formulas and application of formulas. Hopefully, I am going to depend on this formula handbook and going to come out of the formulaphobia and appear in the PMP exam. I am looking for a Formula guide. Hi Gagan, You can go ahad and join FB group – https://www.facebook.com/groups/pmi.exam.prep/ to download the guide. Or is it something else that you are looking for.